Moving to South Los Angeles from her home of 18 years in Los Feliz, Marie-Alise de Marco expected many changes, but the lack of healthy food options in her new community was not one of them. De Marco, 50, a manager at the Crenshaw Farmer’s Market, said she has always been health conscious, making sure what she makes for her husband and two boys are healthy. She tries to buy organic foods to prepare for her family and avoids other foods infused with pesticides and hormones. De Marco recalled how she went to a Ralph’s market in South L.A. to buy groceries for her family, soon after moving to the area in the fall of 2009. There was no organic milk or blue cheese that she wanted. De Marco isn’t the only one affected by the lack of healthy options in South L.A. The region has long suffered from a lack of diversity in dining options. About 70 percent of the restaurants in South L.A. are fast food restaurants, far higher than areas such as West L.A., where the figure is about 40 percent, according to the Community Health Councils, a non-profit, community-based health education and policy organization. Paul Simon, director of the L.A. County Department of Public Health’s Division of Chronic Disease and Injury Prevention, said the abundance of fast food restaurants contributes to the high obesity rates in South L.A. In 2011, about 33 percent of adults in South L.A. were obese, which is an estimated 12 percentage points higher than Los Angeles County’s overall rate, according to reports by the L.A. County Department of Public Health. City officials have recently taken measures to address the problem; passing a fast food moratorium that restricts the building of stand-alone fast food restaurants in South L.A. Since the start of the ban in 2007, obesity rates among adults in South L.A. have fallen by about 3 percentage points, according to reports by the L.A. County Department of Public Health. 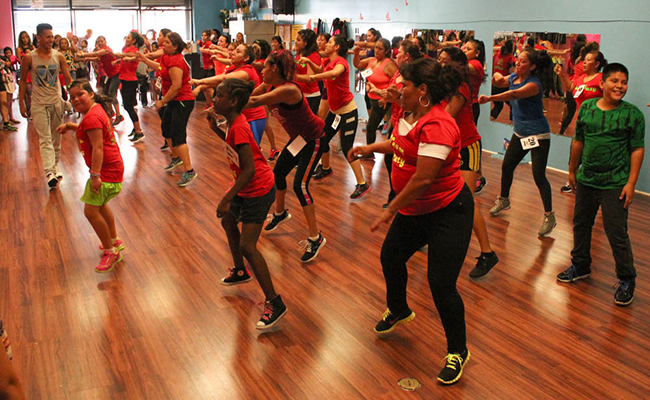 The decrease marked the largest fall in obesity for any area in L.A. County since 2007. 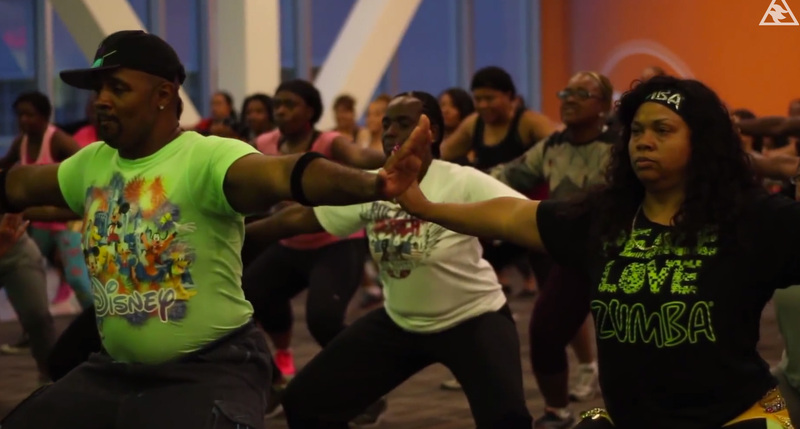 Yet up until 2011, South L.A. had the highest obesity rates for L.A. County. Antelope Valley is now marked with the unwelcome distinction as the county’s most obese area, according to a report by the L.A. County Department of Public Health. Breanna Morrison, a health policy analyst at Community Health Councils, said a number of factors helped prompt the decrease in obesity, including the fast food ban. Since 2007, there have been six new grocery stores erected in South L.A., Morrison said. Among the newly built grocery stores are a Fresh and Easy Neighborhood Market on Adams Boulevard and a Farm Fresh Ranch Market on Vermont Avenue. She also said that from 2007 to 2009, the percentage of adults who consumed fast food in South L.A. four to five times per week fell about two percentage points, according to surveys done by the Community Health Councils and L.A. County Department of Public Health. Morrison said the fast food ban was a good first step toward making South L.A. a healthier community, but she says more needs to be done, including building more parks and other recreation areas, which directly deal with the problem of obesity. The federal government’s idea to “counsel” obese people on their eating habits is as backwards as the government’s war on drugs championing the D.A.R.E. program after the CIA supported the trafficking of cocaine into the U.S. to help finance the purchase of guns for the Contras. The announcement that a federal health advisory panel recommended that all obese adults receive “intensive counseling” in an effort to rein in a growing health crisis in America is to me just another sign of our government’s “hero complex” and leads me to believe that maybe they are the ones in need of the counseling. As someone who falls into America’s clinical definition of being obese, let me be the first to say that intensive counseling is not to going to tip the scales one weigh or another for me. Besides, if I wanted to be counseled on my eating habits, all I have to do is turn on my television to [insert the name of network here] and watch the latest craze in celebrity TV doctors. America’s obesity epidemic wasn’t created overnight. It was methodically planned out and designed by the same people who are now overly obsessed with how much I weigh—but not necessarily what I eat and where I can exercise. The same institution that wants to send people like me to “intensive counseling” co-signed the land use permits that paved the way for theproliferation of fast food restaurants we see today. It’s also the same institution that would rather see a 24-hour gym erected where taxes can be collected than design apark using taxpayer dollars where residents can exercise for free. And what about the cost of food? Everybody who eats fast food doesn’t enjoy it. But when you can feed a family of 4 on a 10-piece bucket of chicken (with biscuits) for $5 verses spending $20 or more at the grocery store to buy the same ingredients to make the same meal—what are you going to do? The unemployed and those living on a tight budget will tell you that dollar menus start to look pretty good when you’re broke and hungry. Even though I can appreciate the First Lady’s White House Kitchen Garden—a lot of the same obese people she’s targeting with her Healthy Food Initiative and Let’s Move program, don’t have a yard—let alone a garden to grow vegetables for their children to eat. I like a good farmer’s market as much as the next person, but urban communities plagued with obese children and adults still need a grocery store that offers more than lettuce, corn, apples, bananas, and oranges. A variety of fresh, affordable fruits and vegetables should be available all and not just the wealthier and healthier communities. But alas, the plot thickens because almost seemingly in cahoots with the government and the fast food industry is Big Pharma. Thanks in part to Big Pharma, I ended up with a RiteAid, CVS Pharmacy, and Walgreens all in one block and I guess that wasn’t enough because now Kaiser is moving in. So after I guzzle down my hamburger, french fries, 32-ounce soda, with a side of diabetes and stroke, I can just drive next door to the pharmacy and get my insulin prescription refilled, high blood pressure, cholesterol, and heart medicines. How convenient. Obesity is big business. The more we eat, the fatter we are. The fatter we are, the sicker we are. The sicker we are, the more drugs we need and on and on. At the end of the day, everyone cops a profit—right down to the clothing designers and manufacturers who are trying to keep up with ourdesire to fashionable and trendsetters coupled with our ever-expanding waistlines. If the government really wants to put a dent in America’s fat problem, why don’t they commission a national study on the impact of price reductions on fresh fruit, vegetables, and other healthy foods in urban neighborhoods where obesity is an issue? What about the development of a taypayer-funded program targeting the clinically obese with free memberships to their local gym? Then the government could report back on whether or not access to cheaper healthier food and a gym free of charge resulted in better eating habits and living choices. Offering or even mandating counseling as hope or a solution for the millions of obese people in America is just another one of those sound bites that sound good but means nothing. Eat on that. Jasmyne A. Cannick is a political communications strategist after having worked in both the U.S. House of Representatives and the California State Legislature. She is also a radio and television politics, race, and culture critic. Follow her on Twitter @jasmyne and on Facebook at /jasmyne. Fast food ban changes food landscape in South L.A.
Ronald McDonald and his fast food friends are no longer welcome in South Los Angeles. Instead, the Los Angeles City Council is pushing the establishment of more farmers’ markets and locally-owned businesses. Intersections South LA’s Kate Rooney explains why fast food restaurants can no longer be built in the neighborhood. It is also a big business. As food trucks spread from one city to another, they are another example of new forms of food access. Our culture’s obsession with food has also expanded to food blogs. From Indian to vegan to organic, it is all there. There is even a television channel dedicated to cooking and gourmet eating. But in South Los Angeles, this obsession with food is different. Instead, residents there struggle with the purchase of fresh food. There are fewer grocery stores in South Los Angeles than there are in neighboring cities, and the quality of food is of lesser value than those nearby communities. For years, major supermarket chains have been criticized for leaving lower income communities. As a result, many of these communities, including Detroit, Memphis and South Los Angeles, lack healthier food options beyond the ever-present corner stores and fast food chains. In South Los Angeles, the 1992 Los Angeles riots marked a turning point, said Dave Heylen, the vice president of communications at the California Grocers Association, a statewide trade organization that represents the food industry. Limited access to supermarkets creates a food desert that leads to significant barriers in healthful eating. A food desert generally refers to an area where the consumer’s ability to purchase healthy food is difficult because there are few grocery stores around or the quality of food is poor. Healthy food is also inaccessible when it is physically difficult to get to a store. For communities that rely on public transportation, a trip to a quality grocery store can be onerous if the store is not near a transit corridor. “It becomes a factor that is beyond income,” Lee said. Systemic problems continue as well. Lee compared food deserts to racial redlining, where banks and other corporate entities once drew a red line around neighborhoods where people of color lived. According to a study released by Community Health Councils, a community-based health advocacy organization, South Los Angeles is home to about 1 million people. The area’s 60 full-service grocery stores each serve about 22,156 residents in contrast to the 57 stores in West Los Angeles that average only 11,150 residents. There are a large number of people in South Los Angeles, but Lee said there are fewer chain grocery stores than there were 20 to 30 years ago. “That begs for some analysis,” Lee added. The idea for this months-long project stemmed from a community workshop conducted by Intersections: The South Los Angeles Report. John Harriel and Maria Isabel Rutledge, both South Los Angeles residents, raised the issue. The first phase of this ongoing project started with six visits to the Ralphs on Manchester and Western avenues in South Los Angeles. The visits occurred over a three-month period, with Harriel in attendance on three of those visits. During four of the six outings, a number of outdated products remained on the store’s shelves. Harriel said there is a lot of outdated merchandise at some of the grocery stores he goes to in South Los Angeles. Intersections: The South Los Angeles Report looked at other Ralphs locations for the second part of this ongoing project. Shoppers can purchase The Coffee Bean & Tea Leaf or eat lunch inside the Torrance-based Ralphs, located on Sepulveda Boulevard. The same can be said about the Santa Monica site, located on Cloverfield Boulevard, and the downtown Los Angeles site, located on 9th Street. The Ralphs in Westwood, located on Weyburn Avenue, is clean and spacious. The store validates parking, and there is new hardwood flooring treatment. But at the Ralphs on Manchester and Western avenues, customers do not get the option to sit inside the grocery store. There is a small Coffee Bean counter, rather than a full-service stand, and customers can only choose from a couple of items. There is a large section where shoppers can buy outdated products with reduced pricing. “Sell by” and “use by” are common phrases shoppers might find on grocery store products. According to a report issued by the United States Department of Agriculture, these dates are generally called “open dating.” That means the date, as opposed to a code, stamped on a product’s package helps the store determine how long to display the product for sale. It also helps the purchaser know when the product is at its best quality. The report said, except for infant formula and some baby food, federal regulations do not require product dating. But if a date is shown, the day, month and year must be available. Next to that date must be a “sell by” or “use by” phrase. According to the report, the term “sell by” generally tells the store how long to display the product for sale. Purchasers should buy the product before the date expires. The phrase “best if used by or before” refers to the best flavor or quality of that particular product. It is not a purchase or safety date. A “use by” date is the last date recommended for the use of the product while it is at its peak quality. The manufacturer of the product usually determines this date. “Closed or coded dates” are usually numbers the manufacturer uses. It is understood that grocery stores are run by economics. They are businesses that need to make money. If people do not buy certain products, they are taken off of the shelves. That is a common reason why some grocery stores say they do not sell certain products, including various organic and sugar-free foods. But Lewis believes that is an excuse. Where there are grocery stores in South Los Angeles, some believe they contain products of lesser quality than those in a well-off area. But Heylen said the type of community does not affect how many grocery stores actually exist in the area. Instead, retailers often face challenges, including the lack of available land and a burdensome approval process. Efforts to improve health and eliminate disparities in South Los Angeles mirror those that occur in other food deserts around the country. Philadelphia, PA created a collaborative effort between fiscal investors and community-based groups. The city developed an initiative called the Fresh Food Financing Initiative, which provides loans and grants to help stores open. The money also helps existing stores upgrade. The initiative has been around for five or six years, and it has resulted in nearly 100 store openings, Lee said. But the ability to eat healthily still depends on other food resources available in the community. Obesity and diet-related chronic diseases are other problems people in South Los Angeles, and the rest of the nation, face. The South Los Angeles area experiences disproportionately high rates of obesity and diet-related chronic diseases compared with West Los Angeles. 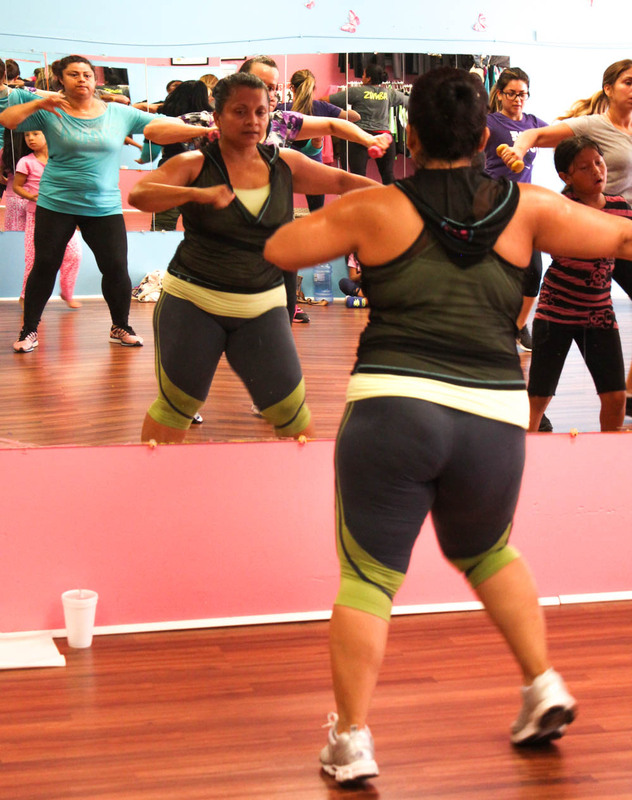 According to a Community Health Councils study, about 35 percent of adults are obese in South Los Angeles, while only 10 percent of adults experience obesity in nearby West Los Angeles. Diet-related chronic diseases, like diabetes and cardiovascular disease, are also more prevalent in the area. Lee said the abundance of fast food restaurants contributes to these conditions. Heylen said food deserts have been an issue for decades, but he believes changes have slowly been made. United Kingdom-based Tesco recently opened its Fresh & Easy Neighborhood Market in South Los Angeles. The store opening continues a broader movement to bring development to that neighborhood. But an online search showed no Trader Joe’s or Whole Foods in the South Los Angeles community. The closest Trader Joe’s is in Westchester, some miles away. On the Whole Foods website, a pull-down menu reveals many locations. Compton, Inglewood, Watts and other South Los Angeles cities do not fall among the areas listed.